The First Ever Rush Day at Tioga Sequoia Brewing | Tioga-Sequoia Brewery Co.
Blog Rush Day is Coming! 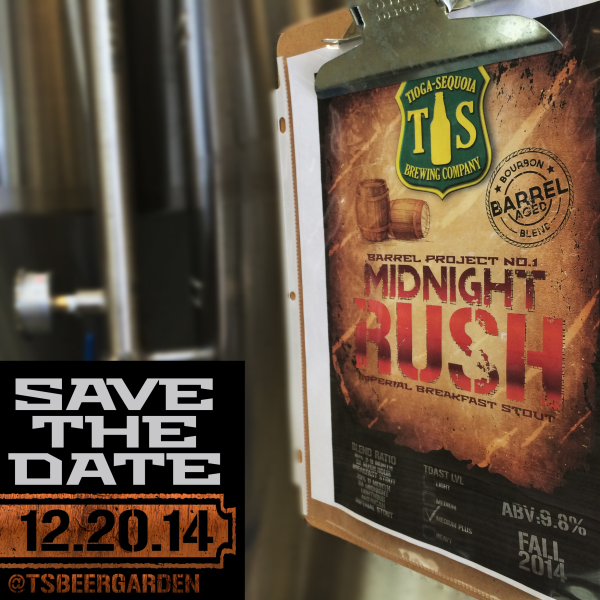 We are pleased to announce the first ever Rush Day at the Tioga Sequoia Beer Garden (745 Fulton, Fresno, CA 93721) on December 20, 2014 from 11am until 9pm. Rush Day is the day we celebrate our coffee infused beers. 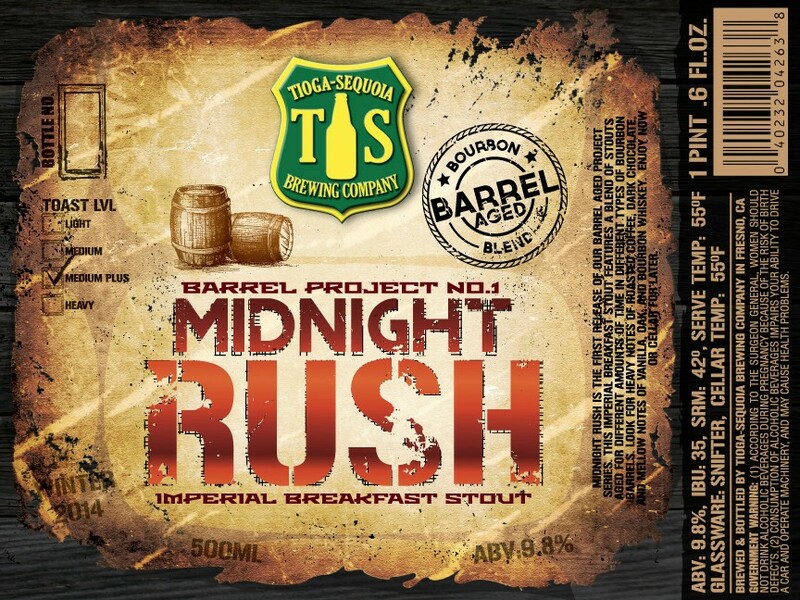 We will be releasing our first barrel aged beer in bottles called Midnight Rush, a blended bourbon barrel aged Imperial Breakfast Stout (Coffee Infused Double Milk Stout). About 1000 bottles will be produced total. We will also be releasing batch three of Rush Hour Breakfast Stout as well as a variant on Rush Hour called Piece of Cake a chocolate milk stout infused with Coffee, Madagascar Vanilla Beans, and Toasted Coconut. We will have master roaster Leo from Cafe Corazon on site selling coffee from roasted Colombiano Beans used to make batch 3 Rush Hour and Midnight Rush. Dusty Buns (Food Truck) will be on sight the whole morning/afternoon serving a Brunch Menu catered to pairing with Coffee and Beer. 4 Bottle Limit on Rush Hour for the rest of the day. All beers will be on Tap throughout the day with 1L and 2L Growler fills of Piece of Cake and Rush Hour. After blend is done we infuse another 1 pounds per barrel of fresh Colombiano coffee into the blend. 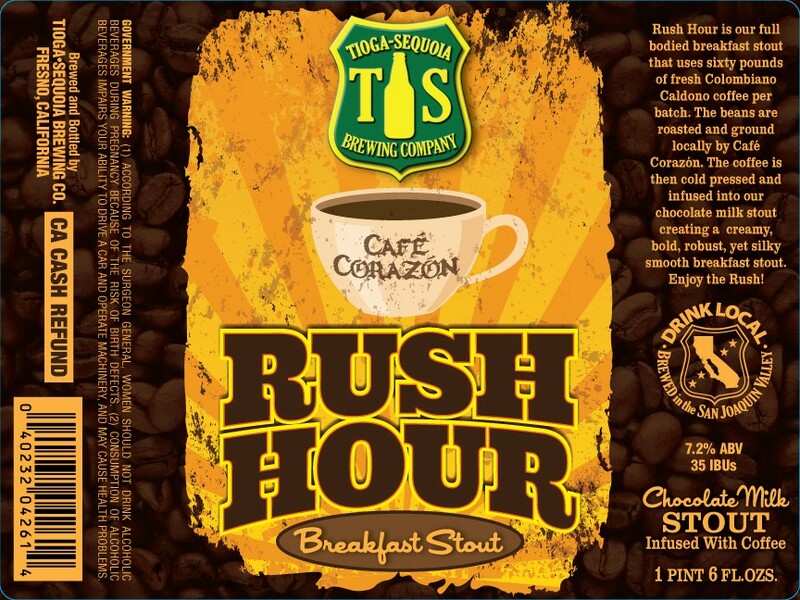 Rush Hour is our full bodied breakfast stout that uses sixty pounds of fresh Colombiano Caldono coffee per batch. The beans are roasted and ground locally by Cafe Corazon. The coffee is then cold pressed and infused into our chocolate milk stout creating a creamy, bold, robust, yet silky smooth breakfast stout. Enjoy the Rush! 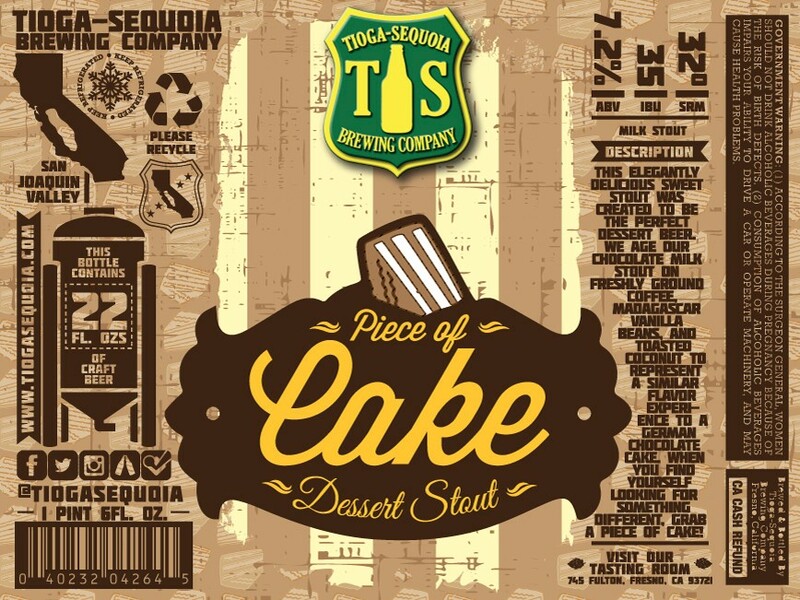 This elegantly delicious sweet stout was created to be the perfect dessert beer. We age our chocolate milk stout on freshly ground coffee, Madagascar vanilla beans, and toasted coconut to represent a similar flavor experience to a German Chocolate Cake. When you find yourself looking for something different, grab a Piece of Cake! For more information, please call 559.486.2337 or check out our social media below. We look forward to seeing you at the first ever Rush Day!